View from the top of Bill White Ranch. Photo by Bill White. If a man is lucky, there comes a point when his life’s work and his legacy combine to benefit others. Bill White is a lucky fellow in this respect. His name has been synonymous with delicious food in Utah for the past 25 years. He’s best known for his eight Park City restaurants—Grappa, Chimayo, Wahso, Windy Ridge Café and Bakery, Ghidotti’s, Sushi Blue, and Billy Blanco’s. His latest endeavor, Bill White Farms, is a return to his northern Michigan farming roots with an eye on making the Park City community a better, healthier place for all. Bill White Farms is primarily funded with profits from White’s restaurants, and encompasses two properties—the farm on Highway 224, and a 5-acre ranch on Old Ranch Road—each operating under the Earthganic standards White developed and trademarked to describe his holistic approach to agricultural and ranching practices. Harvesting Earthganic tomatoes. Photo here and below by Beth Rossi. From soil restoration and cover cropping to rotational grazing and a focus on producing protein sources that improve human nutrition, White’s current efforts far surpass organic farming practices and USDA animal health standards. The Highway 224 farm has become a model of clean farming principles and produces four dozen varieties of fruits and vegetables. The produce is served in the restored buildings on the property for charitable dinners benefiting other non-profit organizations and donated to the Christian Center of Park City to feed 4,000 Park City residents each month. “There is so much need that we’ve had to limit client visits to the pantry to twice a month,” White explains, of the dire situation many locals face. Not surprisingly then, very little product from the farms is leftover for use at White’s restaurants. 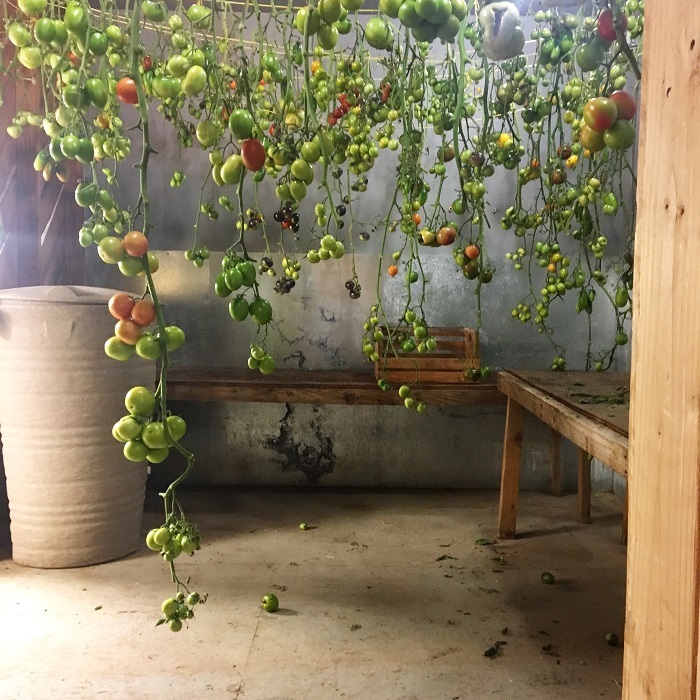 “The chefs can come by and use the herbs and produce for seasonal nightly specials, but we aren’t trying to be the main supplier for any of our properties.” Instead, the restaurants actually give back to the farms. All of the compost materials are used to feed the animals being raised. Test version of the trout farm. Restaurant scraps are put into compost trays where worms turn it into fresh, nutrient-rich soil that is then used as fertilizer for future crops. 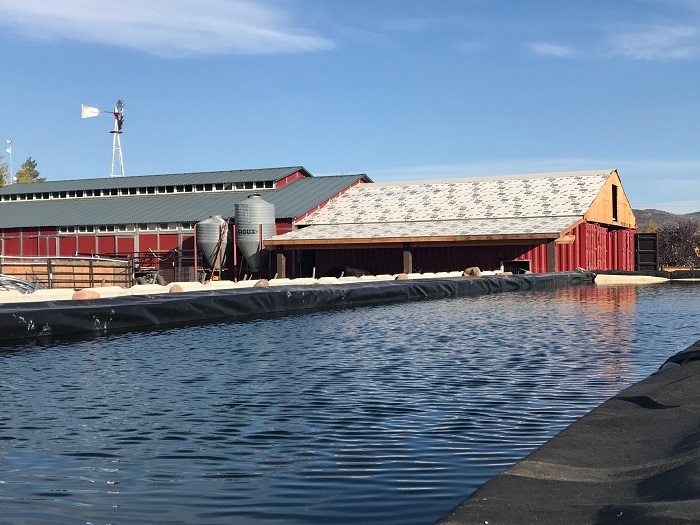 Those worms will also eventually feed the 50,000 rainbow trout thriving in a new, 100,000 gallon trout farm, which will finally fill the bellies of Park City residents. 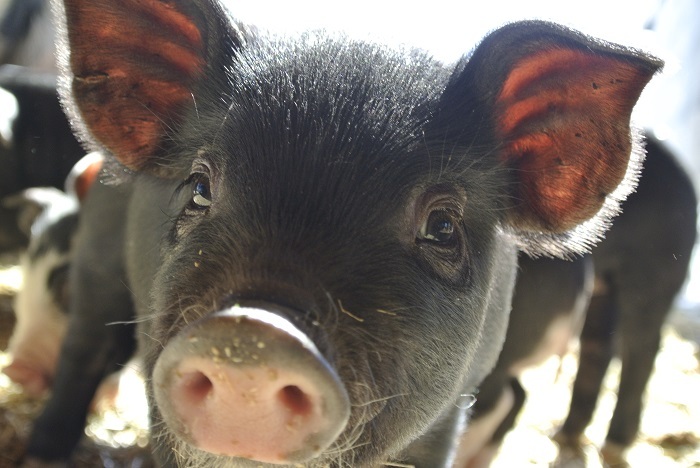 In addition to the trout, the Old Ranch Road property is home to humanely raised pigs, chickens, turkeys, cows, and lambs that forage in open pastures and enjoy fresh air in addition to those kitchen scraps, alongside fruits, nuts, and vegetables for supplemental feed and finishing. own restaurants, which purchase approximately $1 million in beef each year, but also as a way to educate ranchers about the viability of raising healthy herds in humane and chemical-free ways. 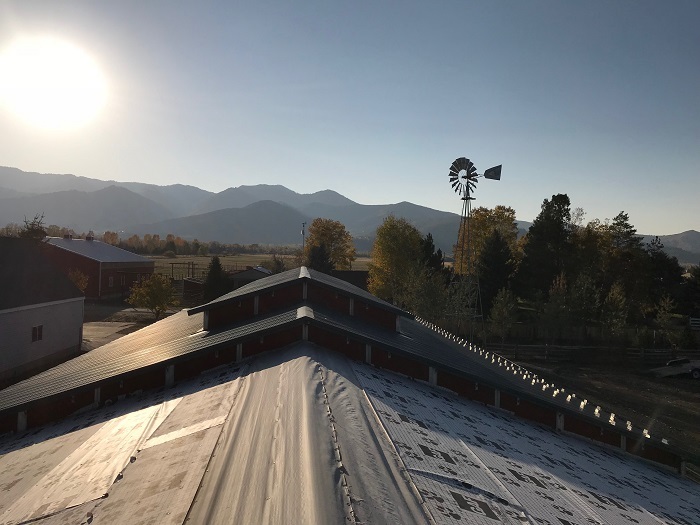 As White continues to build this lasting legacy for the Park City community and beyond, his eventual goal is to funnel more of the food grown on the farm and ranch into his restaurants. It is a goal worth waiting for.